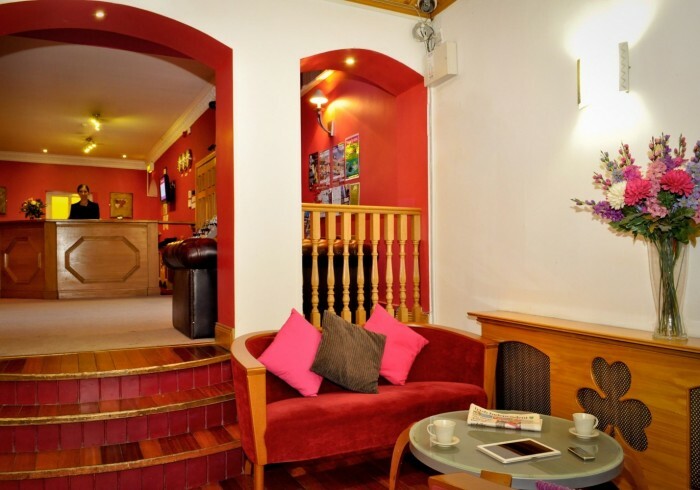 My Place Dublin is a budget 37-bedroom elegant Georgian Style Dublin Hotel. Our fantastic complex is located on Gardiner St, just off O’ Connell St. We are close to a host of major attractions such as Trinity College, The National Gallery, The GPO, Grafton St, Temple Bar and the Guinness Storehouse, The O2, The IFSC, Croke Park, Dublin Convention Centre and the new Aviva Stadium. Hotel Dublin	We are the perfect base for any visitor to the Irish capital, with a vast local knowledge of Dublin city and it’s surrounds. We provide central accommodation with several years experience in handling individuals and groups of all sizes. From 1 to 150, we cater for all. We pride ourselves on our customer service and are known for great communication between group, agent and our reservations department. My Place Dublin Hotel Reception	There is always someone available to talk to about any needs that your group may have. Check in time is 14:00, however we are open for check in 24/7. If your room is available we can accommodate you. If not, you my relax in one of our lounges or leave your luggage with us and you can explore everthing the city has to offer. Check out is 11am. Late check outs are possible subject to availability.